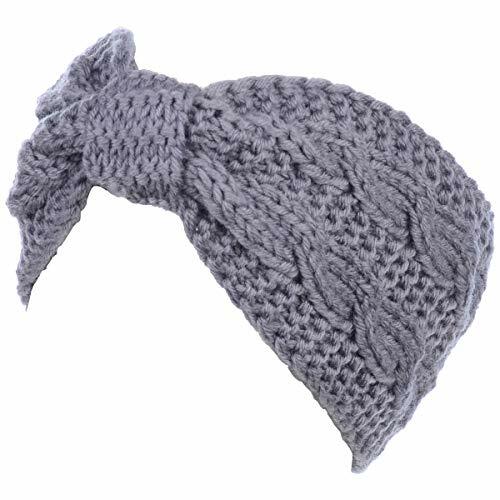 Stay warm and look fabulous with this Womens Winter Boho Chic Classic Cable Bow Knotted Crochet Knitted Turban Headband Headwrap. Update your hairdo with the cable braided knit headband hair accessory during the cooler fall and winter seasons. This cable knit headband has wide coverage and added warmth for your forehead and ears. The knit headband is a versatile hair headwear accessory. There are some styles that you can try to rock a knit headband! Place the knit headband on over your hair and this instantly adds a dose of Bohemian chic look. If you want to keep the hair out of your face, you can try to wear a headband under your hair. Another cute look and keep the hair off is to pull your hair into a pony tail or do a high bun and then put a headband on. If you have any questions about this product by Be Your Own Style, contact us by completing and submitting the form below. If you are looking for a specif part number, please include it with your message.